I want to welcome all of you new visitors to my blog! Thanks for following along our Hop! Be sure to Subscribe on the right hand side of my blog so you don't miss out on our Blog Hop next month and all of the other fun projects I share in between! 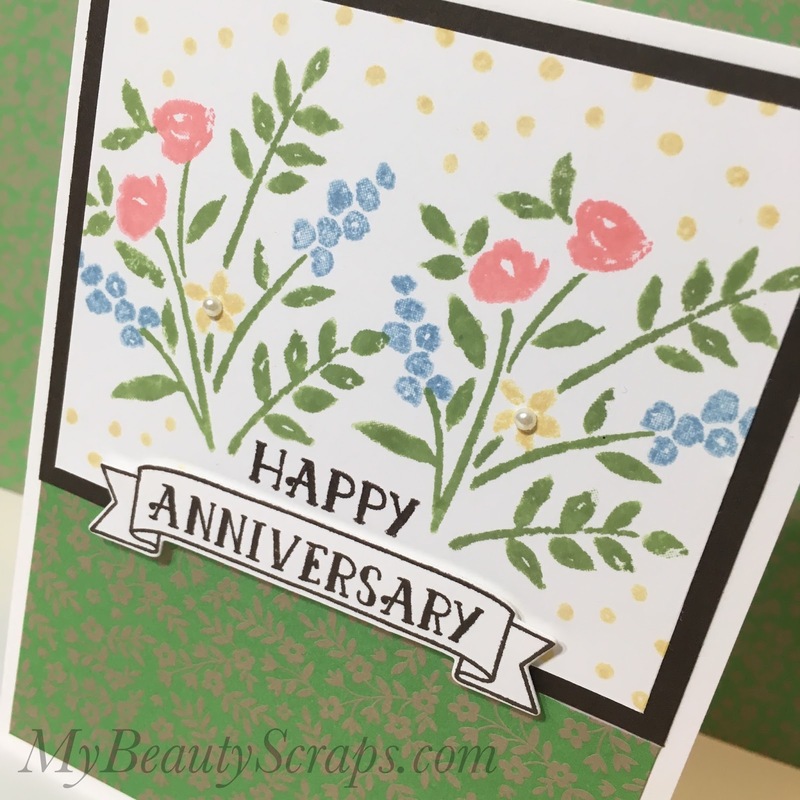 We are a group of Stampin' Up! 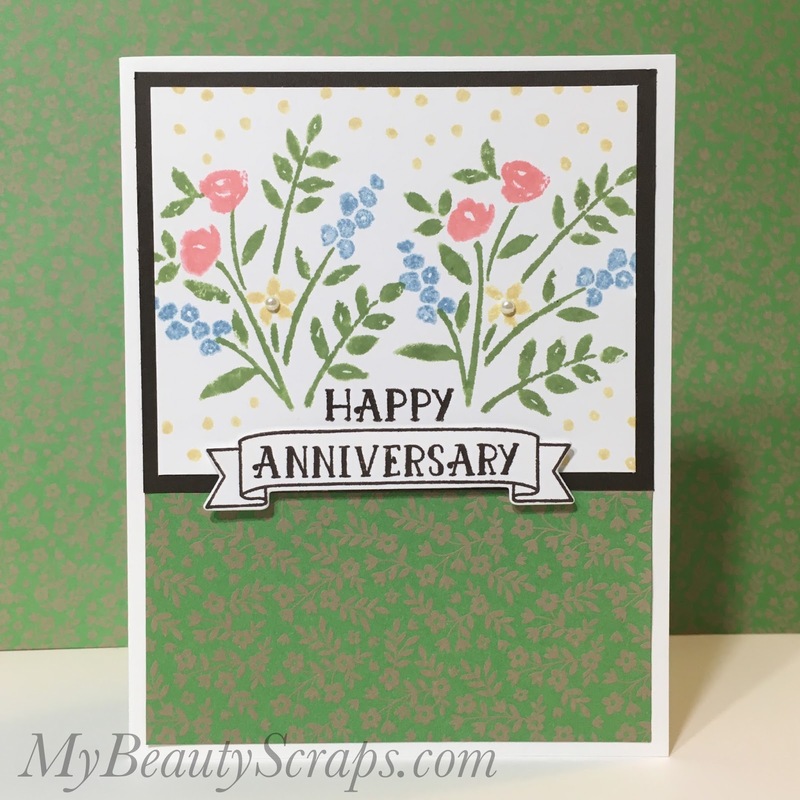 Demonstrators and we will be bringing you fun paper crafting ideas using Stampin' Up! products on the 1st of every month. I hope you have been enjoying the Hop so far. So many fun ideas from so many talented crafters!!! 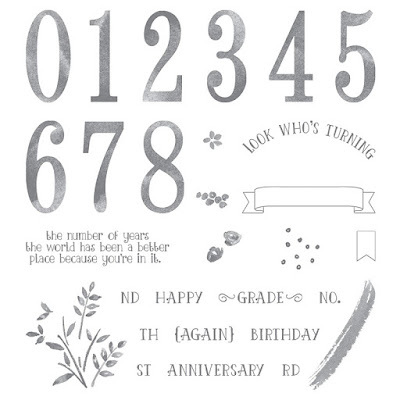 We are sharing projects with a celebration or anniversary theme this month so I had to break out one of my favorite stamp sets, Number of Years. 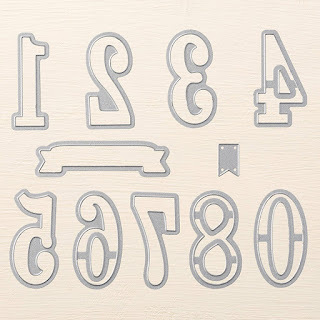 You guys know that I love matching die sets and the Large Numbers Framelits Dies are a favorite! I played around a lot with different color combinations before choosing this one. I love this paper from the Affectionately Yours Specialty Designer Series Paper pack and the Green in the paper is actually Cucumber Crush. I thought Cucumber Crush was a little bright for the flower stems & leaves so I went with Wild Wasabi and I think it still matches nicely. Black just seemed a bit too harsh for the sentiment so I chose to use Early Espresso. The rich, deep brown gives a great contrast and really makes the sentiment pop. And, here's a close up of the stamping. I love the watercolor look of this floral stamp! And, it was so easy! For the flowers I used Flirty Flamingo, Marina Mist and So Saffron. I love how it came out and I hope you all do too! 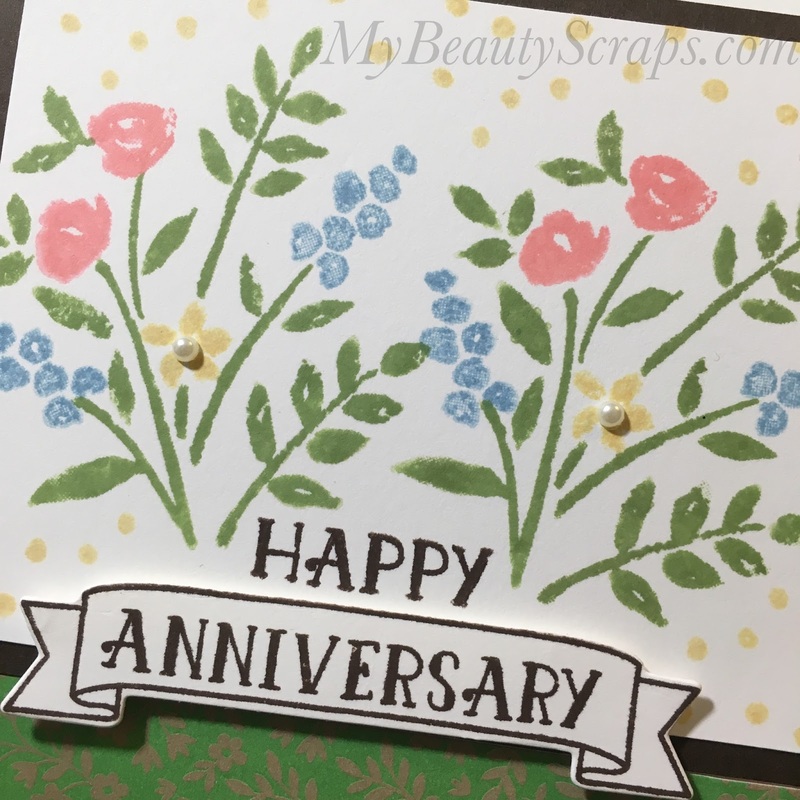 To celebrate our 1 year anniversary of our Blog Hop and our extra special guest blogger, Shelli Gardner, I'm having a giveaway!!! If you follow my blog you know that I LOVE Paper Pumpkin! I am giving away one of July's Paper Pumpkin Kit's called What a Gem. If you want to see everything in the kit and get some ideas about how to use it, check out my youtube video. So how do you win? 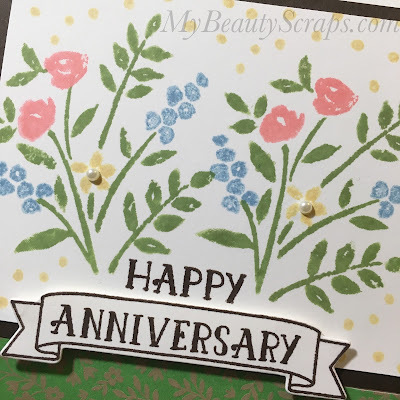 Since out theme this month is anniversary/celebration, just leave a comment at the end of this blog post telling me what you are celebrating right now - big or small! You have until September 10th 11:59pm to enter - US only. 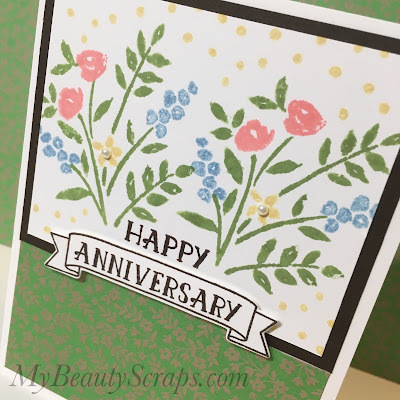 I have been creating like crazy with August's Paper Pumpkin Kit! I am having another giveaway over on my youtube channel for one brand new Bold Botanicals Paper Pumpkin kit and you can Click Here to enter to win. Below is a list of the products that I used to create this card with links to my online store for easy shopping! I hope I've inspired you to create something today!